All businesses must maintain complete and accurate records of their activities and the minimum requirements depend on the type of business you operate. inniAccounts online accounting software takes care of your record keeping logs seamlessly behind the scenes. Petty cash book – This is a record of all your miscellaneous expenditure, for example stationery and postage. It is not normally required for contractors as it is rarely withdrawn from the business account. Supporting records may include a time sheet register and a project time / cost ledger for fixed price contracts. 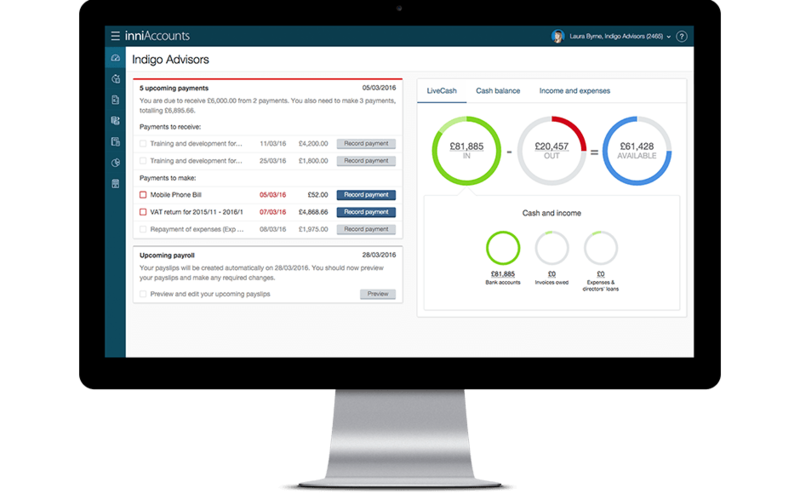 inniAccounts online software keeps everything in order meaning records are accurate, paperwork is minimised and peace of mind knowing everything is in one place. What original documents do I need to retain as hard copies? HMRC and Companies House are moving towards electronic filing. This is also reflected in the requirements for company records. It is also worth while retaining the originals of any other signed documents such as lease agreements and contracts. Do all companies have to keep accounting records? Yes, all limited companies whether trading or not must keep accounting records, normally for at least 6 years. Find out how to keep your admin to minimum and keep accurate records in just 15 minutes a day.